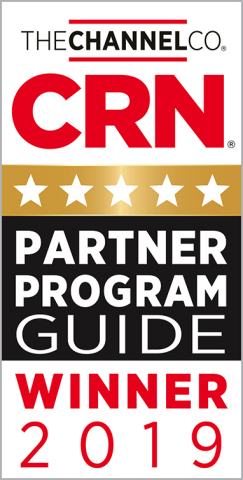 Riverbed (News - Alert)®, The Digital Performance Company™, today announced that CRN®, a brand of The Channel Company, has given Riverbed Rise a 5-Star rating in its 2019 Partner Program Guide. This annual guide identifies the strongest and most successful partner programs in the channel today, offered by the top technology suppliers for IT products and services. The 5-Star rating recognizes an elite subset of companies that offer solution providers the best partnering elements in their channel programs. "We are very plesed that Riverbed Rise retained CRN's highest partner program rating," said Bridget Bisnette, Senior Vice President of Global Partner Sales. "Riverbed Rise, now in its second year, has been met with resounding success as it provides partners simplicity, flexibility and profitability that is relevant and important to their business. Our goal for the coming year is to build out our digital experience management (DEM) and SD-WAN practices, along with new capabilities and capacity to support partner growth and market share. We look forward to a mutually successful year with our partners." Riverbed®, The Digital Performance Company™, enables organizations to maximize digital performance across every aspect of their business, allowing customers to rethink possible. Riverbed's unified and integrated Digital Performance Platform™ brings together a powerful combination of Digital Experience and Next-Generation Networking solutions that provide a modern IT architecture for the digital enterprise, delivering new levels of operational agility and dramatically accelerating business performance and outcomes. At more than $1 billion in annual revenue, Riverbed's 30,000+ customers include 98% of the Fortune 100 and 100% of the Forbes Global 100. Learn more at riverbed.com.